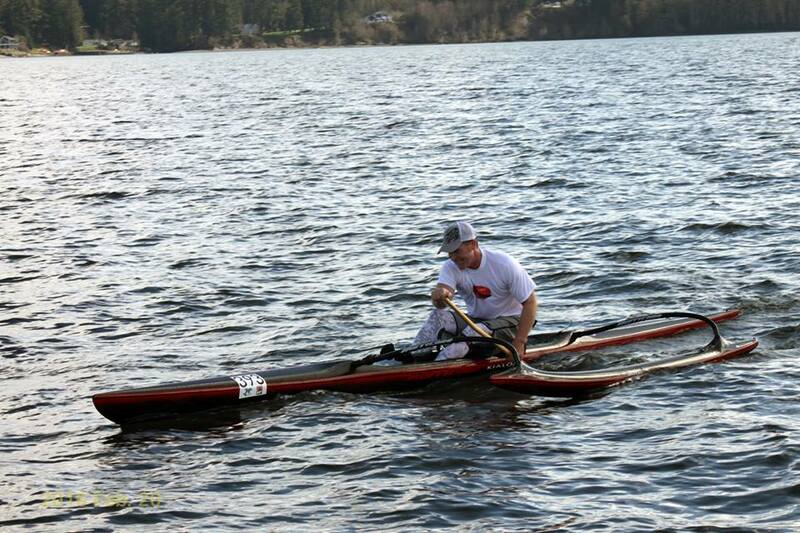 OC paddling training and conditioning can take on many forms. We turned to the experts to get a glimpse into what personally drives them and what it entails to put together a structured training schedule. 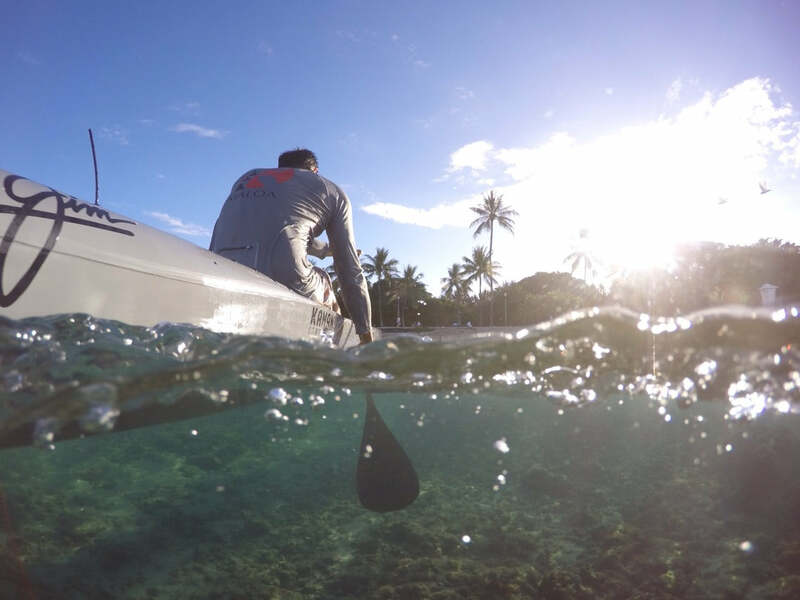 Each paddler has a unique training schedule consisting of both paddling and alternate conditioning methods to achieve their desired level of fitness. Paddling is the main component of training for OC1 and OC6 paddling. The workouts themselves often consist of varied times, distances and speeds. Finding the perfect balance between open ocean, wave experience and straight conditioning is an art. Often times, a weight training program and other types endurance training are added to the mix. No matter what, paddling fitness requires paddling, and lots of it! We asked two of our 'Elele to contribute a short write up on their current OC paddling training and conditioning. One is located in Pacific North West of US and the other on the Island of Oahu. 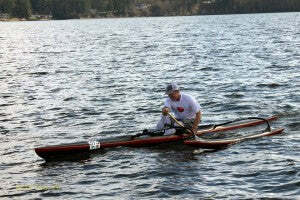 Paddling - conditioning: (to follow) Training - This time of year is one man racing season. With team paddling taking up most of summer and fall, winter and spring provides a great relief from team workouts and allows freedom to do what you want or need. It’s easy to get caught up in a strict training plan which is why I love the flexibility of theOC-1 season. Here in the PNW, our paddling experience changes with the seasons. We do get beautiful summers, with very little rain and lots of warm sun. We’re also “lucky” that our rivers don’t freeze over in the winter, so we can paddle year round, even though it’s really cold. Right now, as spring has begun and the time has changed, it’s nice because the paddles after work don’t have to be in the dark. The weather is also beginning to change, and it’s so nice to paddle in shorts and a t-shirt again, instead of trying to strap your canoe on top of your car as fast as you can before your fingers freeze and become useless. Most of my training is done on the Willamette River, where I put in right downtown Portland, but paddle a mile up river and you begin to see some amazing wildlife. We get to see Bald Eagles, Great Blue Herons, and many other birds. We also enjoy Sea Lions, River Otters, Beavers, huge Sturgeon and many other fish jumping. It’s pretty special to be able to get in a good, hard workout, yet also enjoy nature. We’re nearing the end of our winter small boat series, where we race OC-1, OC-2, and surfskis on rivers, lakes, and the Sound, in Oregon, Washington, and Vancouver, BC. In fact, the championship race is this weekend in Seattle, and then it’s on to 6 man season!